Celebrate Thanksgiving Weekend with a grove + gratitude. Join resident Westmoor yoga teacher Caitlin Marcoux, accompanied by Portland's Todd The Rocket, for an electrifying and dynamic 75-minute vinyasa practice. Caitlin, who's roots are grounded in modern dance and PranaFlow will encourage you to dig in deep, let go even deeper, tap into your inner primal rhythms, spiritual prowess and creative juices. 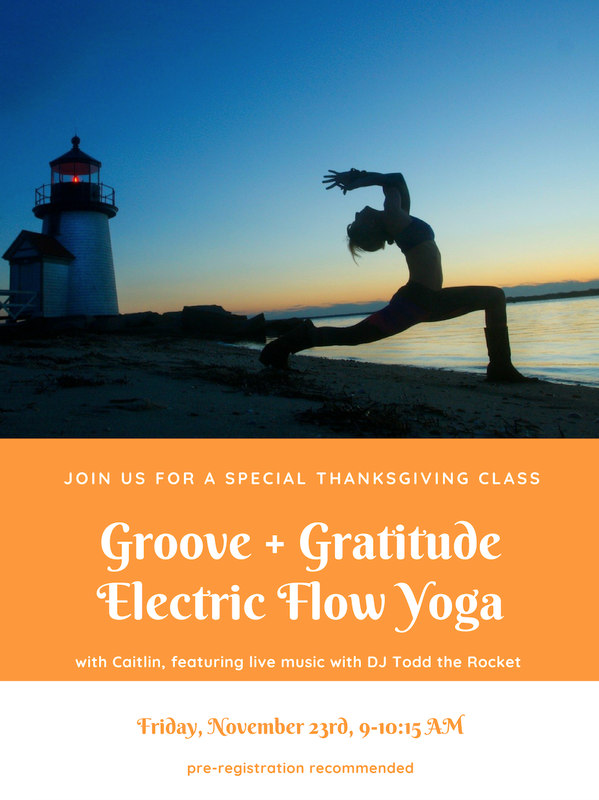 Use creatively sequenced waves of energetic vinyasa asana to explore your physical and subtle body, and let yourself be guided by the Rocket’s supportive live DJ stylings.